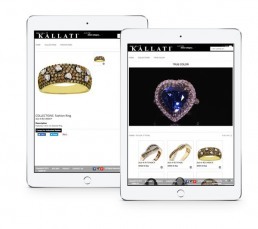 KALLATI is a New York based diamond jewelry wholesaler. KALLATI™ is one of the leading manufacturers of wholesale jewelry, catering to both wholesalers and distributors worldwide. KALLATI is one of the leading wholesale diamond jewelry manufacturer and distributor in USA. 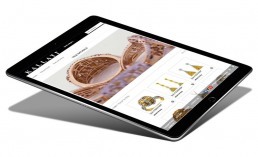 They needed a store where all their retailers can easily access product updates and order them. Previously, retailers had to call KALLATI to get updates or place orders. This structure was consuming a lot of time and effort of KALLATI group with high chances of human error. All in one shop for high end diamond jewelry wholesale buyer. Sunflower Lab and KALLATI team worked together to streamline the users’ journey and know what the retailers will need. Sunflower Lab created a responsive Magento based eCommerce store that could work from any device. Now retailers use KALLATI website for query resolution, to order as well as communicate with KALLATI team. KALLATI team now spends very less or no time on phone and their productivity has improved by 70%. Sunflower Lab was responsive via email and phone with a single contact to streamline communications. Adaptable and versatile, the team catered to every need.